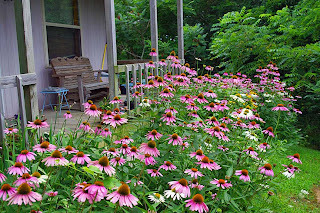 Yes, the flowers by the porch at Cottage on the Knoll at Cedarcroft Farm are in full bloom - purple & white coneflowers, daisies and more (pictures 1 & 2). The meadow in front of the cottage is full of Queen Anne's Lace, with rough blazing star just starting to add some purple to the sea of white (picture 3 is the view from the porch). 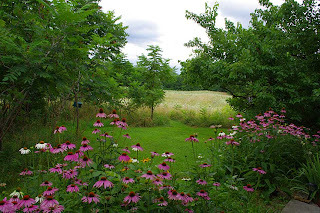 The lane to the cottage is also full of flowers, and the warm season tall grasses are shooting up. 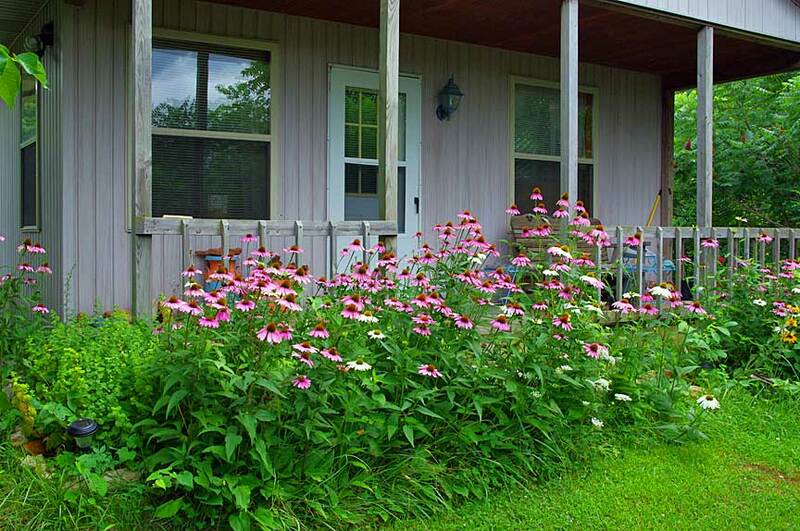 Come see us and enjoy our hospitality - and the flowers. Here at Cottage on the Knoll at Cedarcroft Farm we're taking it easy on a rainy 4th. We spent yesterday at Clinton's Olde Glory Days with its almost-two-hour parade. We'd planned to look for artifacts in the creeks, but it's a little to wet right now - perhaps later. I also like to take some time to re-read the Declaration of Independence and reflect on the words; you might take a look at the offenses attributed to King George & his ministers and compare them with the state of our nation today. The wildflowers are blooming profusely - the meadow is a sea of white from Queen Anne's lace. 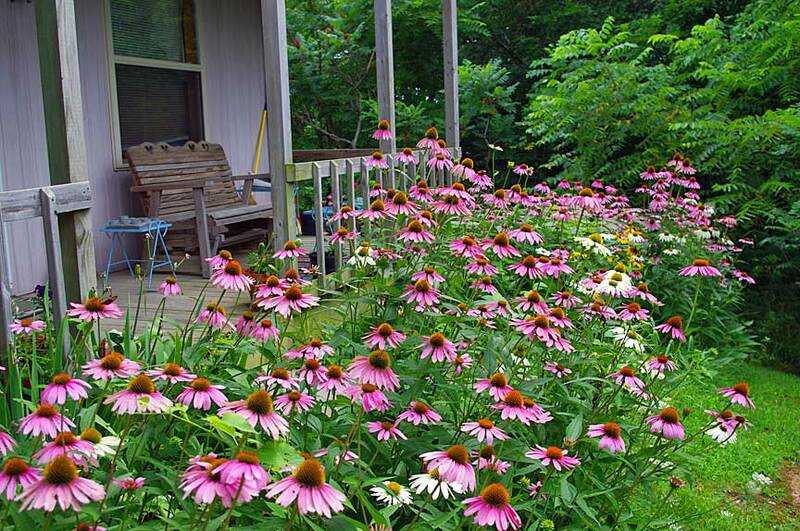 Our coneflowers continue to spread and all are in bloom, along with assorted daisies & black-eved susans. 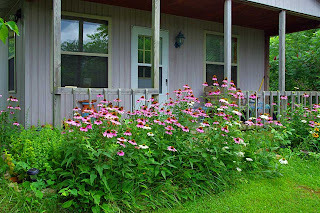 The native grasses are shooting up all along the lane to the Cottage. It's worth a visit.